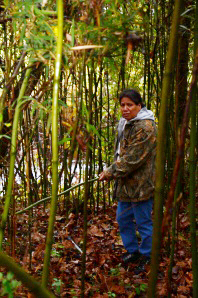 Five WATR members traveled with Cherokee artisans to harvest the perfect canes that are suitable for traditional weaving projects: mats and baskets. We joined two Cherokee artisans, Jim Long and Lucille Lossiah, and their six assistants who are learning the craft as we headed down to the Murphy area. At the Marble Springs Outdoor Education Area we were shown what makes acceptable cane material. The cane must be straight, dark green indicating sufficient age, and no signs of branching for the bottom portion of the culm (the technical name for the stalk). Even a bit of residual branching renders the derived cane split unusable. The crafts people cut the cane and we pulled them out of the brakes and helped collected them for the trip home. 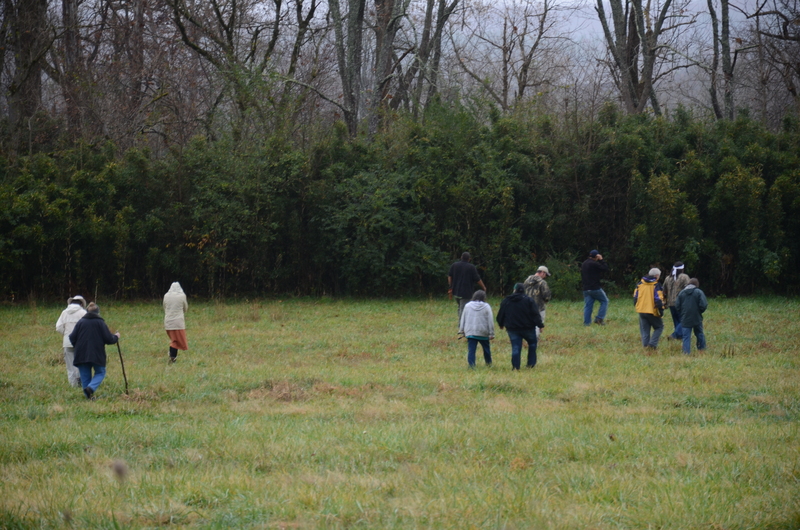 Special thanks go to Beth Johnson for gathering the Cherokee foraging partners. Beth works with the RTCAR (or fully spelled out: Revitalization of Traditional Cherokee Artisan Resources). 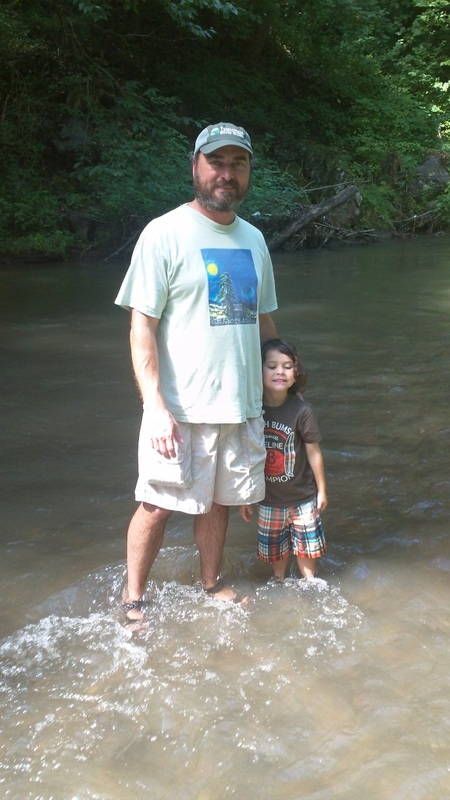 Tony Ward, a staff member of the Hiwassee River Watershed Coalition, served as host by showing us which canebrakes were available for harvesting. Thanks, Tony! The WATR group included Shirley Veenstra, Judy Knight, Bill Lee, Ken Brown, and Roger Clapp. Also in the Cherokee artisan group were Fidel Raya, Weylon Long, Jane Wolfe, Nancy Wolfe, and Dorothy Wood – an extension-service intern. We ended up with a warm meal and lively conversation at the Blue Mountain Café. 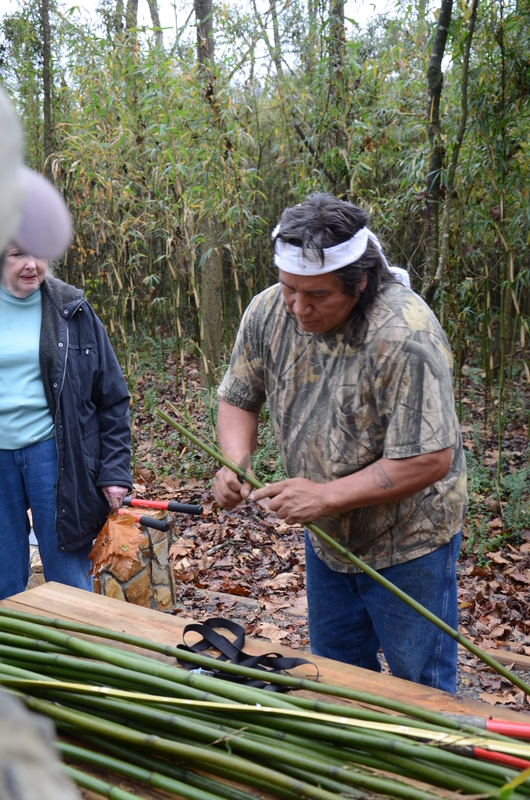 We will plan more events with Cherokee artisans in the new year, and we will launch the main activity – finding and getting permission for harvesting new river cane brakes in our watershed. We will be dividing the roads and creeks in Swain and Jackson, where volunteers will look for more cane brakes. When we find them we will encourage landowners to sign simple agreements allowing artisans to occasionally harvest (sustainably!) cane for use in traditional crafts. How cool to be part of this age-old practice! 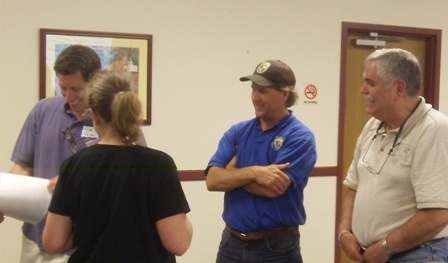 How better to build friendships within the tribe and the watershed community? Call the office if you would like to join in! Several years ago this effort was started by Adam Griffith, then a student and now a WCU staff member. He mapped cane sources, mostly near Cullowhee, and he generated an online map. Interested? 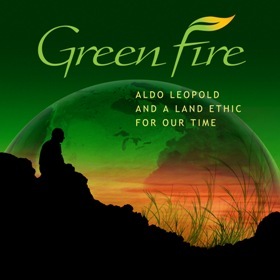 Follow this link.